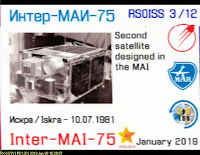 The MAI-75 activity was a success with ground stations mainly in Europe, Asia, Australia and South America posting received copy of images. All 12 images were eventually posted to the gallery. 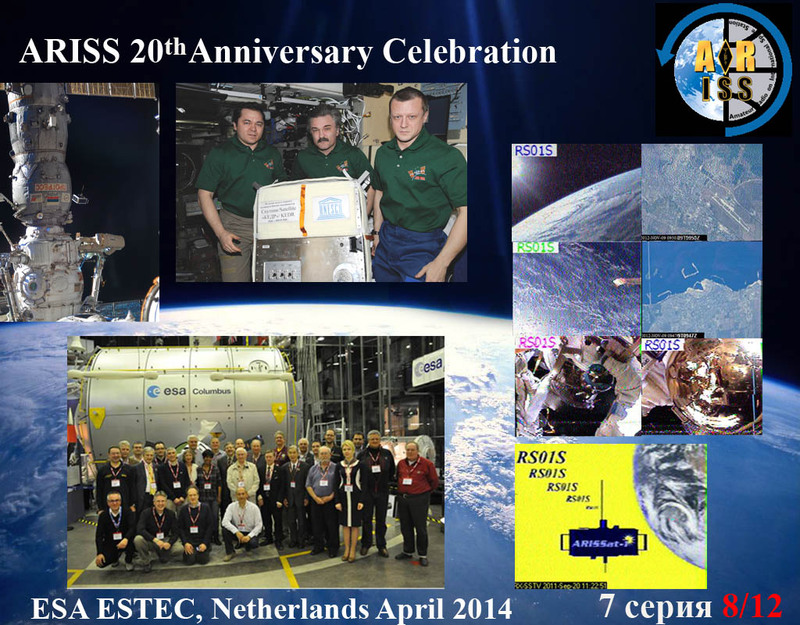 The next big event will be the ARISS SSTV event that starts Thursday, April 11 about 18:00 UTC and will be operational until about 18:00 UTC on Sunday, April 14. 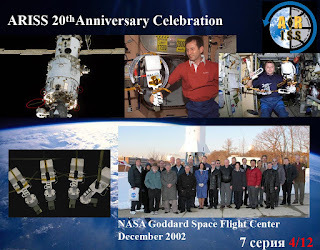 Since this event will run continuously for 72 hours, folks in the higher latitudes should have a pretty good chance to receive all 12 of the images. 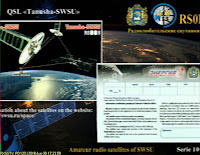 Operators in the mid latitudes should be able to get most of them depending on location. Good Luck and Enjoy! 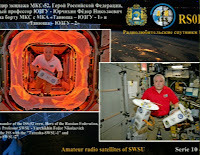 Below are examples of the 12 different images that were received by amateur radio operators around the world on Jan 30. 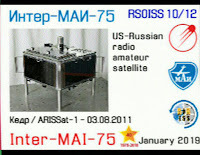 The experiment is scheduled to operate on Jan 31 and Feb 1 as well. 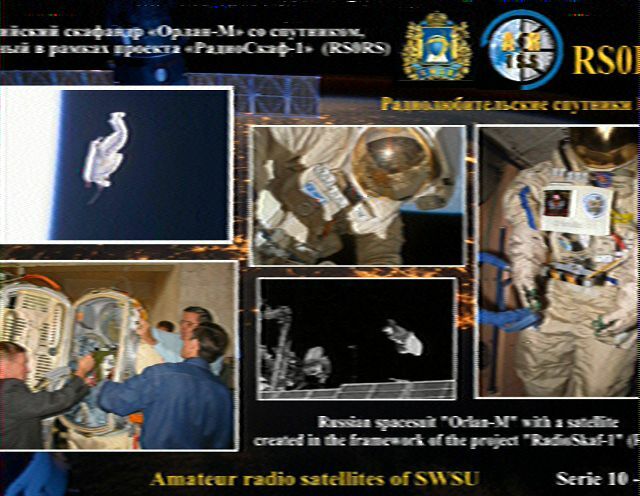 Received information that the Moscow Aviation Institute will be conducting their SSTV experiment from January 30 - February 1. 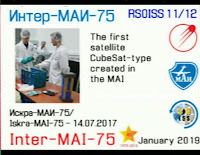 It appears from the scheduling that the experiment will only be active during a couple of orbits that overfly Moscow instead of a continuous operation. 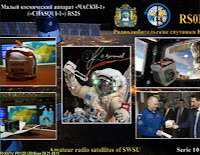 Rough time periods of activation appear to fall between the hours of 13:00 - 19:00 UTC. Activity should occur on the traditional 145.800 MHz downlink. 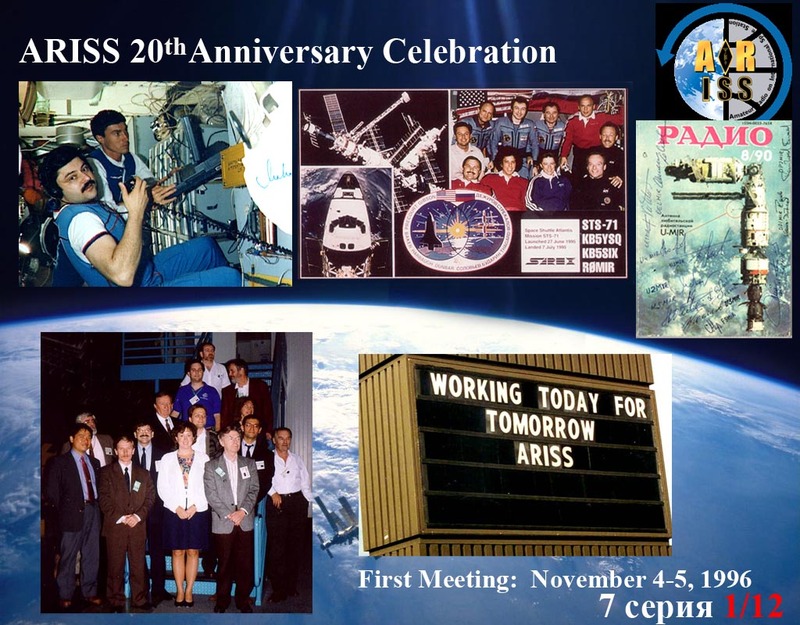 Amateur Radio OnThe International Space Station (ARISS) is planning a very special Slow Scan TV event currently scheduled to start October 27 about 10 am UTC. Helping to support the event will be NASA’s Space, Communication and Navigation (SCaN) Dept. 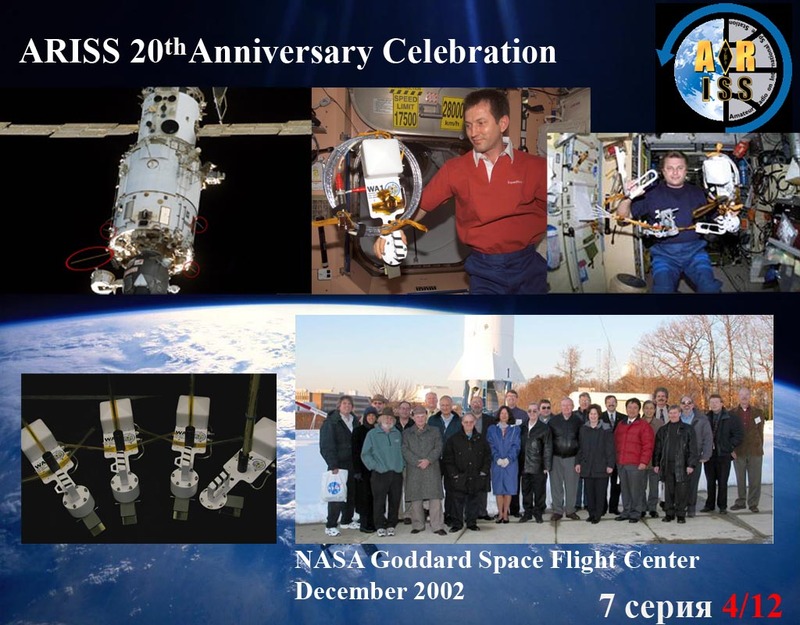 The Space Communications and Navigation (SCaN) program manages NASA’s three most important communications networks. The Space Network (SN), Near Earth Network (NEN), and the Deep Space Network (DSN. 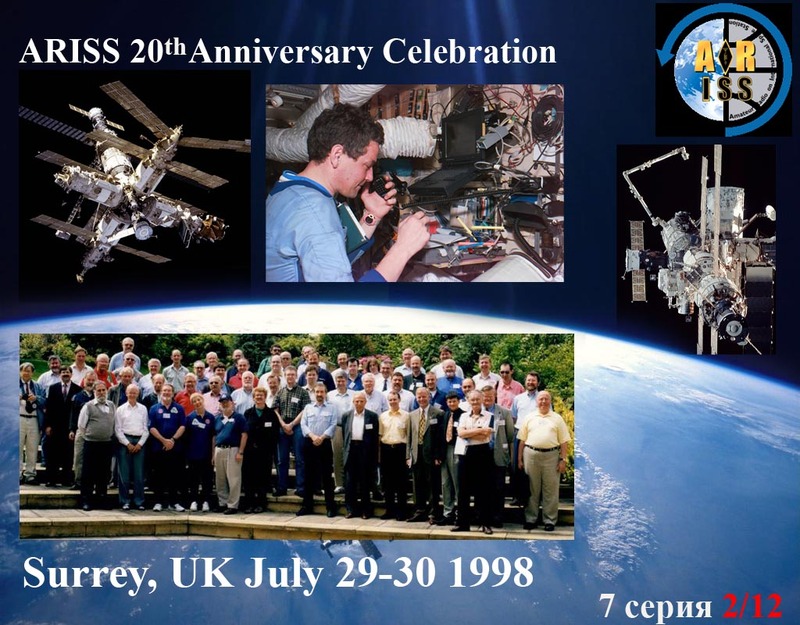 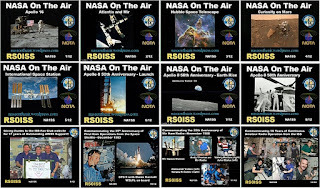 Just as in past ARISS SSTV commemorations, 12 images will be downlinked, but this time with 6 featuring the SCaN educational activities while the other 6 images will commemorate major NASA anniversaries, ie when NASA was established, astronauts first landing on the moon, etc. 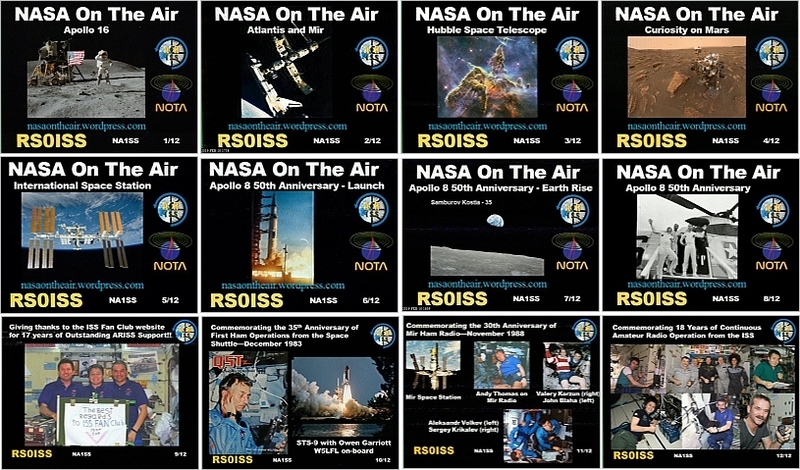 In addition to the fun of receiving these images, participants can qualify for a special endorsement for the NASA On The Air (NOTA) celebration event. To learn more about NOTA, visit ( https://nasaontheair.wordpress.com). 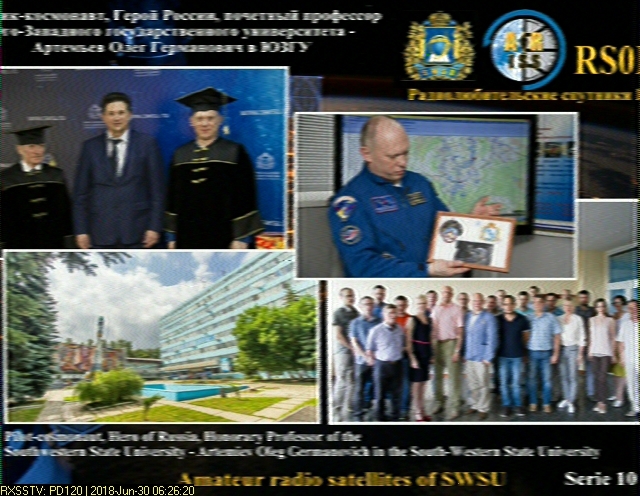 Once received, Images can be posted and viewed at http://www.spaceflightsoftware.com/ARISS_SSTV/index.php .The transmissions are expected to be broadcast at the usual frequency of 145.800 MHz using the PD-120 SSTV mode. More information will follow soon, so please continue to check for news and the most current information on the AMSAT.org and ARISS.org websites, the AMSAT-BB@amsat.org, the ARISS facebook at Amateur Radio On The International Space Station (ARISS) and ARISS twitter @ARISS_status. Amateur Radio on the International Space Station (ARISS) is a cooperative venture of international amateur radio societies and the space agencies that support theInternational Space Station (ISS). In the United States, sponsors are the Radio Amateur Satellite Corporation (AMSAT), the American Radio Relay League (ARRL), the Center for the Advancement of Science in space (CASIS) and National Aeronautics and Space Administration (NASA). 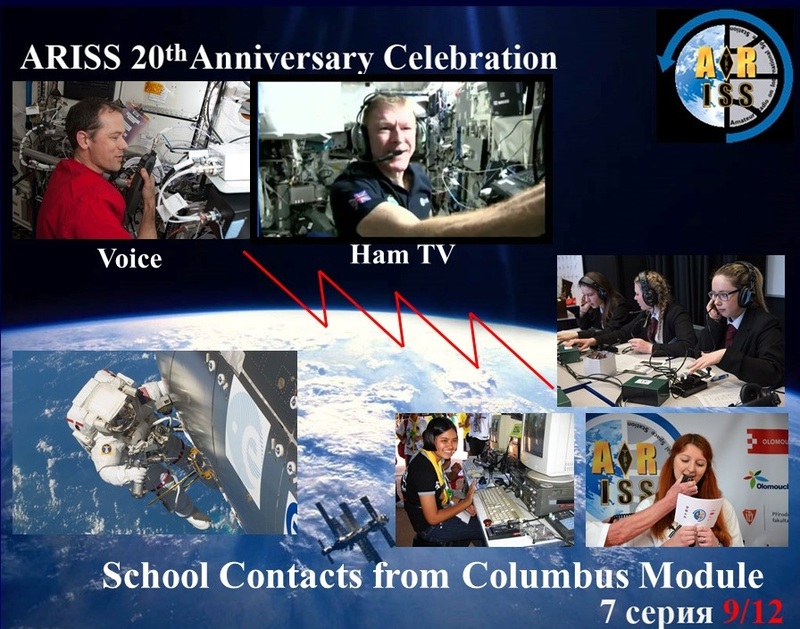 The primary goal of ARISS is to promote exploration of science, technology, engineering, and mathematics (STEM) topics by organizing scheduled contacts via amateur radio between crew members aboard the ISS and students in classrooms or public forms. Before and during these radio contacts, students, educators, parents, and communities learn about space, space technologies, and amateur radio. 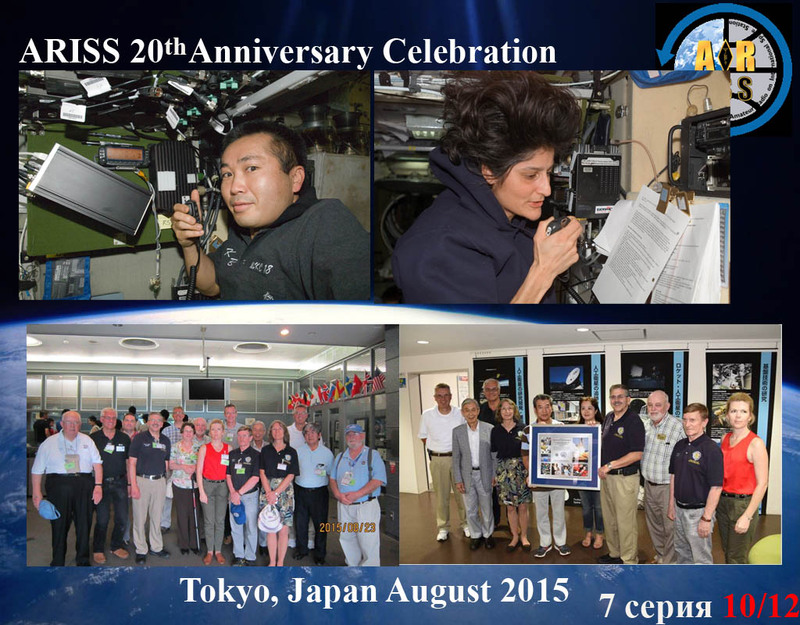 For more information, see www.ariss.org. Looks like the event will run continuously from Oct 27 starting around 10:00 UTC and ending Oct 29 around 19:30 UTC. 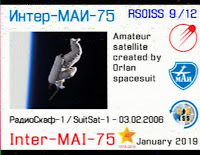 Certificates for receiving images will be available. 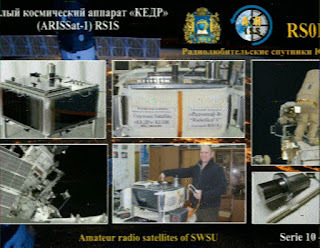 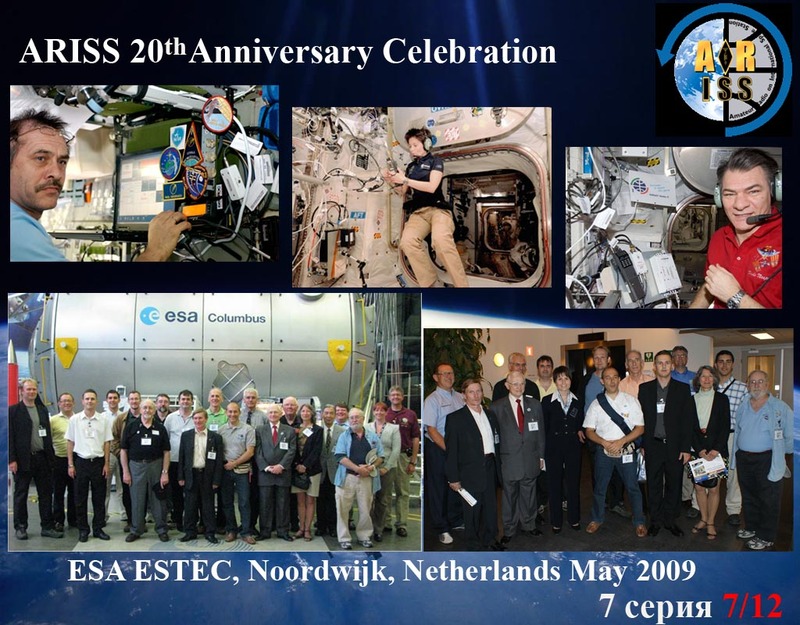 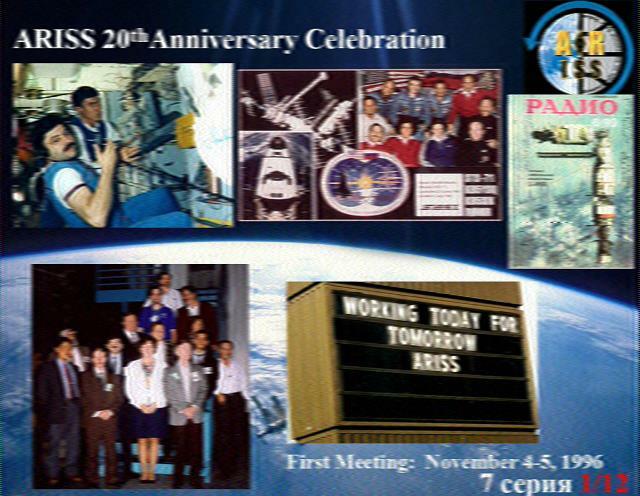 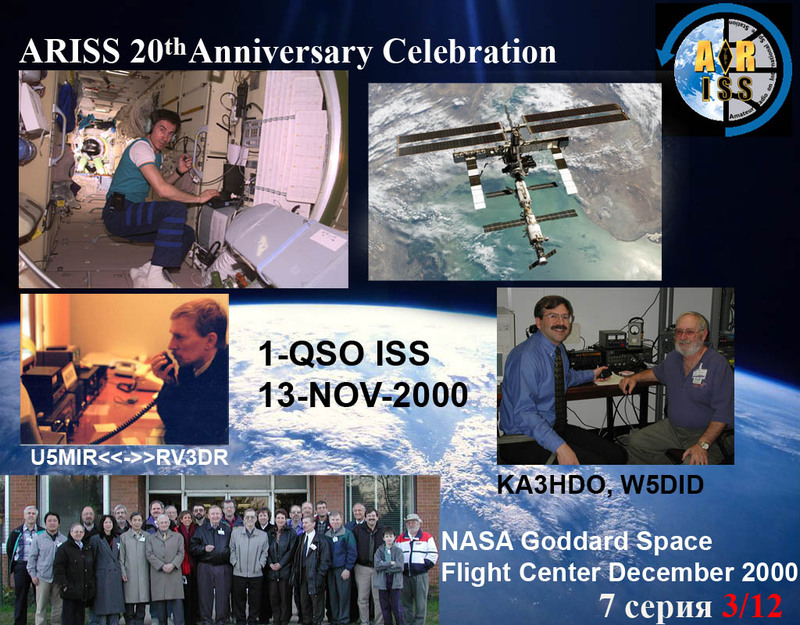 See details posted at https://ariss.pzk.org.pl/sstv/ for complete information. 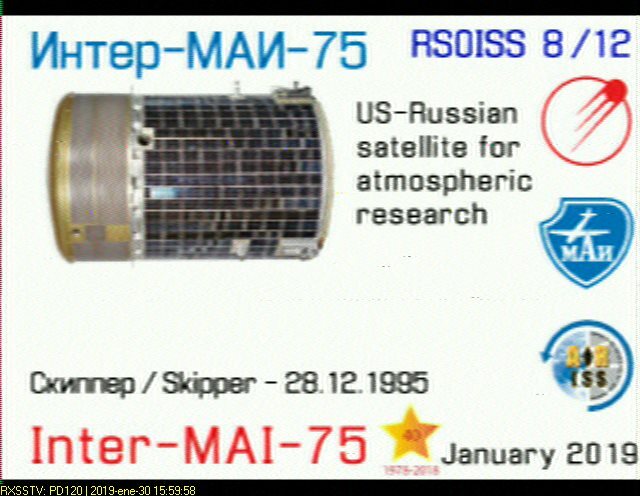 Seems the event started with a bit of confusion. 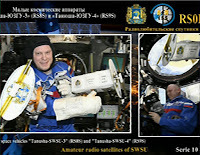 Images were initially being down linked on the wrong frequency. Another complication is that the MMSSTV overlay was active and covering some of the images. Seems these are trying to be fixed so hopefully everyone can try to capture images as they were intended to be transmitted. 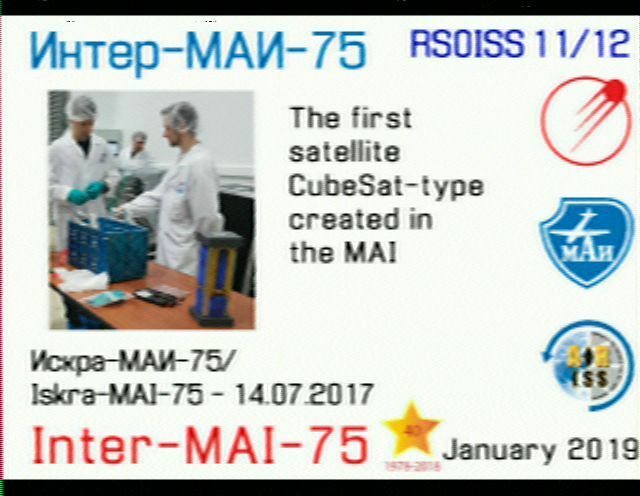 Looks like the folks at MAI will have an experiment run right at the end of July. Crew timeline shows activation of the SSTV system beginning with setup starting at 16:00 UTC on July 30. 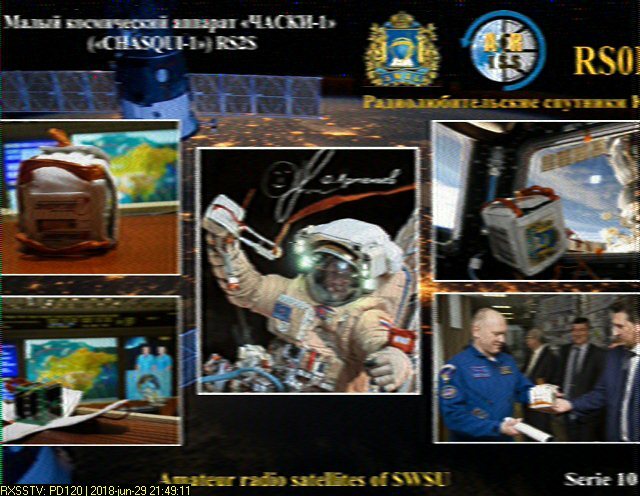 The system will be powered down that same day at 19:30 UTC. The next day (July 31), the system will be again active from 13:25-19:15 UTC. 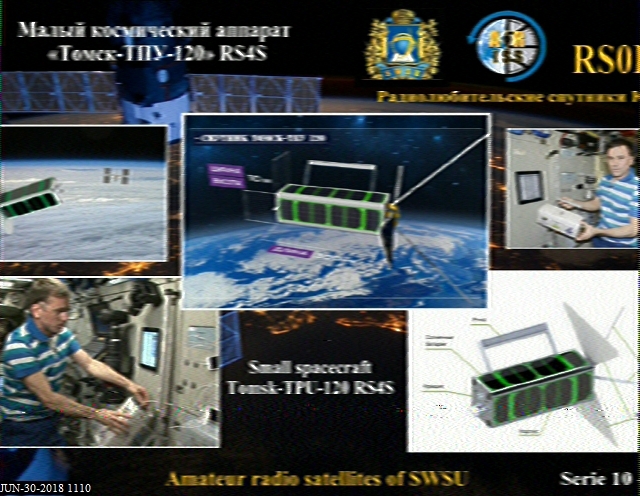 Downlink is presumed to be on the traditional 145.80 MHz frequency. Mode will likely be PD120 but not officially known at this time. 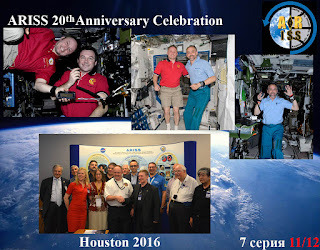 Looks like everyone had several opportunities to capture images from the ISS during the June 29-July 1, 2018 period (and even some extra time beyond what was announced). 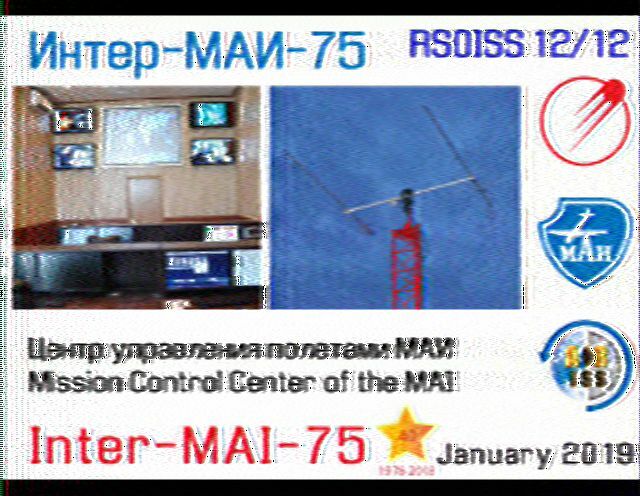 It appears the images were cut off on the sides but were still easy to visualize. 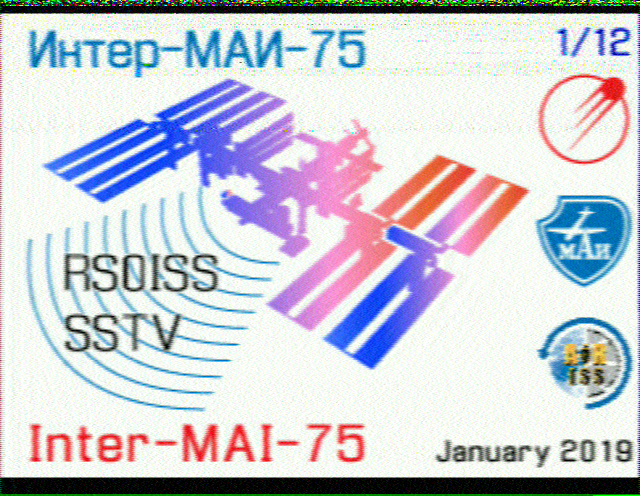 It seems someone on ISS has afforded everyone with an extension of SSTV operations. 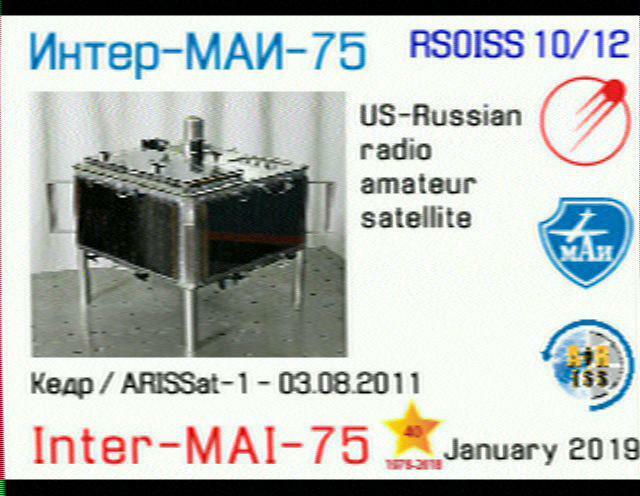 Nothing on the schedule so no idea how long it will last. 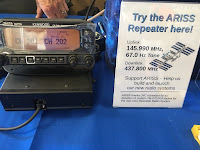 Next school event (which needs the same radio) is on July 13. Below are examples of each of the 12 images as captured by the indicated ground station. 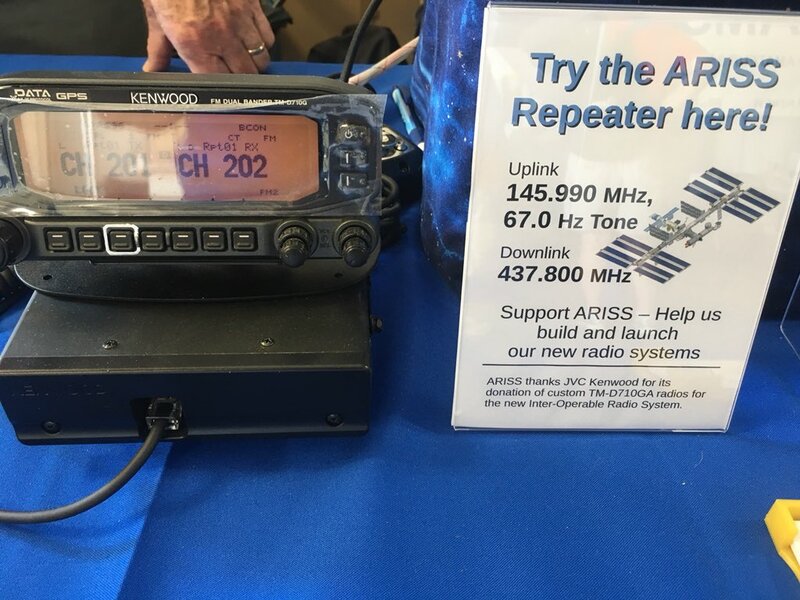 ARISS is currently seeking donations to help finalize development and certification of hardware to replace the current systems on the ISS. 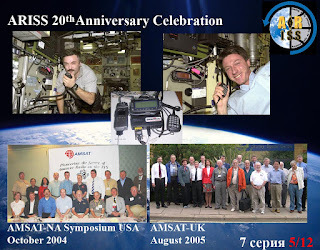 Donations are fully tax deductible within the USA as AMSAT is a 501(c)(3) organization. Images are being transmitted. 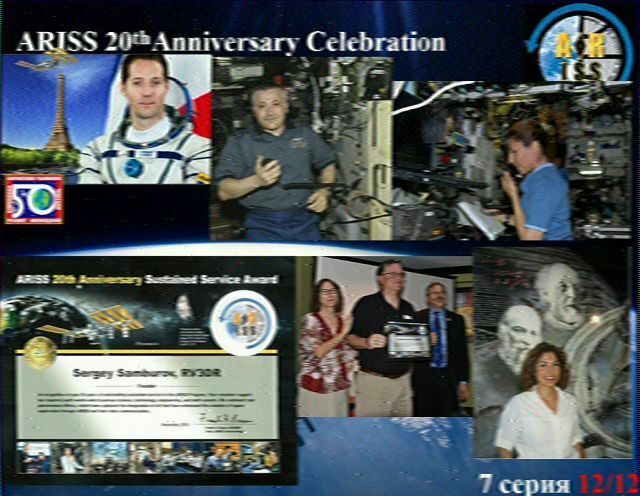 It does appear that the images are being clipped on the left and right edges due to a formatting issue. An example is shown in the image below captured by VU3PMJ. 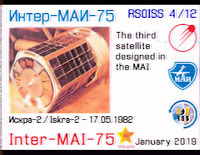 Here are the targeted times for Inter-MAI SSTV operations (subject to change): June 6, 12:30-14:30 UTC and June 7, 11:50-15:25 UTC. 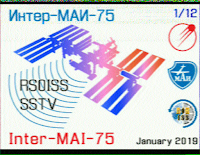 Check your orbits to see if ISS will be in range of your location in those time blocks. 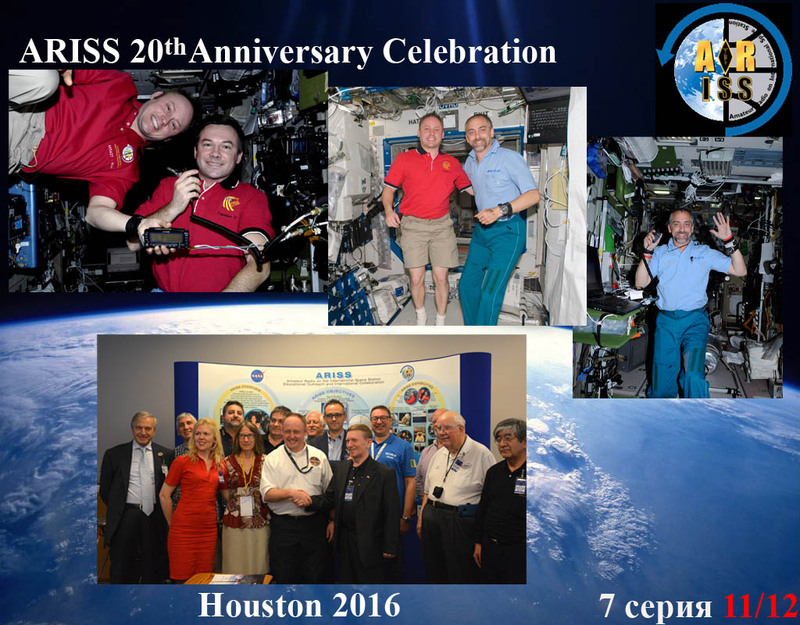 Looks like another activity has shifted the SSTV end time to allow another pass on June 6. End time now 16:30 UTC. 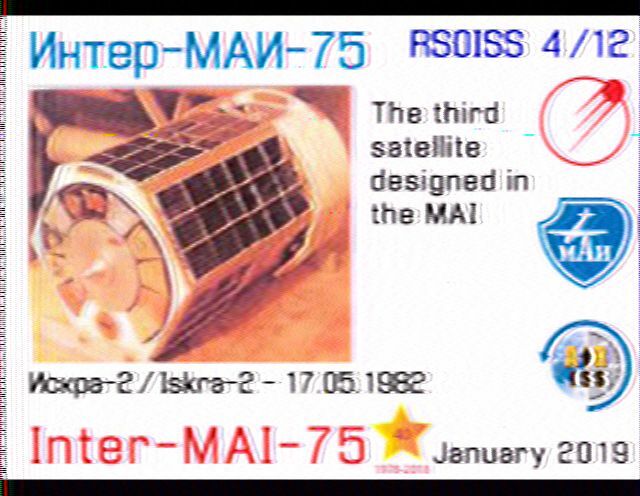 Inter-MAI will be transmitting SSTV on April 2 (15:05-18:30 UTC) and April 3 (14:15-18:40 UTC). 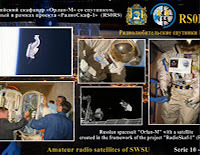 This is an experiment of the Moscow Aviation Institute so folks in range of Moscow will have the best chance as will folks along the orbits during the indicated time frame. Additionally, SSTV will be active world wide as part of Cosmonautics Day (April 12). 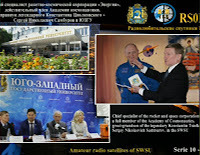 Images will be related to the Interkosmos project (https://en.wikipedia.org/wiki/Interkosmos). 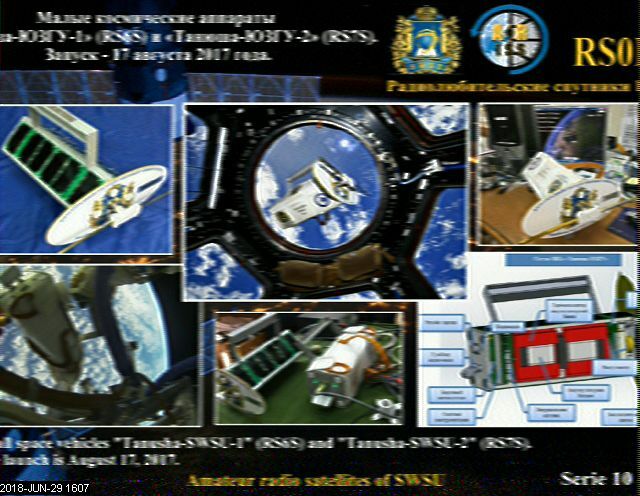 Detailed times are still being worked into the schedule and will be update as they become available but the dates will be from April 11-14. 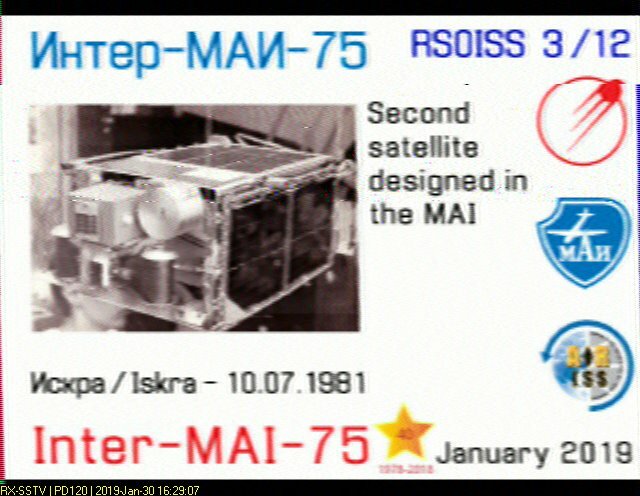 This should allow for worldwide reception of images over multiple days. 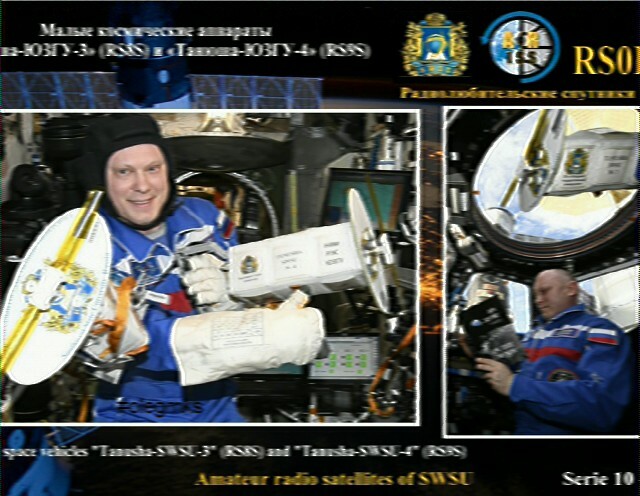 Both operations will be conducted on the standard 145.800 MHz downlink. 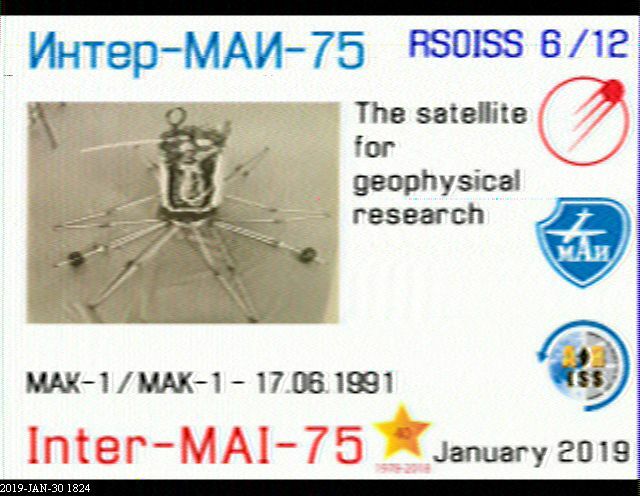 Mode is expected to be PD120. 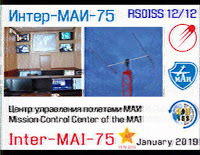 Good event from Inter-MAI-75 with all 12 images being captured cleanly by operators. 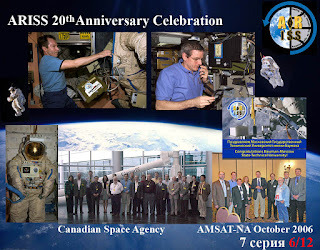 The next planned activity is an ARISS sponsored activity as part of Cosmonautics Day. 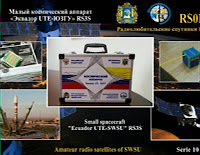 Setup is currently scheduled to begin on April 11 at 11:00 UTC and should take around 30 minutes. 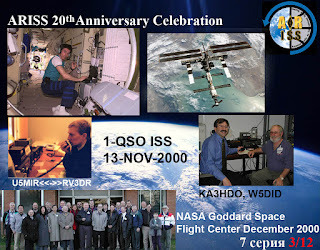 Transmissions should continue from just after the setup period until April 14 around 18:30 UTC. 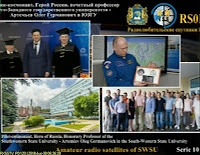 That is over 3 days of transmissions worldwide so we should capture all 12 images related to the Interkosmos project. 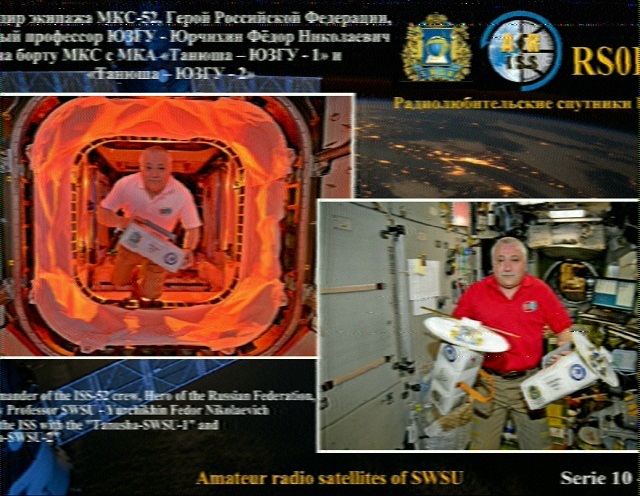 Looks like they started a bit later than expected but here is one of the early images that was captured by IW2AGJ over Europe during the pass just before 13:00 UTC.